What’s the story: 1960s Texas. The young Jed Sawyer is taken from his murderous family and placed in a mental institution. Years later, a gang of inmates escape and a bloody road trip begins. What’s the verdict: Having reached film number four, we predict directing duo Alexandre Bustillo and Julien Maury will never match their astonishing 2007 debut feature Inside. That film carried the same ferocity as Tobe Hooper’s The Texas Chain Saw Massacre. The duo’s last film, Among the Living, owed a debt to the 1974 horror classic in its hillbilly vengeance plot. Fitting then for the pair to helm the latest instalment in the TCM (or should that be TCSM?) franchise. A franchise that has quietly chugged along and amassed eight films up to and including Leatherface. That’s only one behind Freddy’s filmic output and two behind Michael Myers. In the series’ own chronology, this movie usurps 2006’s The Texas Chainsaw Massacre: The Beginning. No bad thing this: Bustillo and Maury have not delivered a masterpiece, but Jonathan Liebsman’s prequel is the worst Chainsaw flick. Leatherface announces its intentions from the opening scene. Remixing the original’s infamous climax, this has the Sawyer clan torturing a hapless individual at the dinner table. Played as a murderous “coming out” party for Jed, the runt of the family, it’s darkly comic and grimly gory. In a wry aside, Grandpa is permitted to show off those hammer skills feted in Tobe Hooper’s movie. After the local Sheriff (Dorff) endures tragedy at the Sawyers’ hands, he puts Jed into care. Flash forward and young nurse Lizzy is starting work at local mental institution, Gorman House. There she takes a shine to the sensitive Jackson (Strike) and the lumbering man-child Bud (Coleman). During a riot, Jackson and Bud break out along with psychopathic couple Ike (Bloor) and Clarice (Madsen). Ike and Clarice take Jackson, Bud and Lizzy hostage, embarking on a good ol’ fashioned Texan killing spree. But, the law’s close behind. And doesn’t Bud remind you of someone…? Mixing The Texas Chain Saw Massacre, Gun Crazy, Natural Born Killers and One Flew Over the Cuckoo’s Nest make for a heady movie brew. A diner massacre and a spot of necrophilia are well-staged moments of extreme cinema. But, while Leatherface delivers the gruey goods, it’s missing the mind-twisting terror that keeps the original effective over 40 years on (with a lot less red stuff on display). Dorff has fun paying homage to Dennis Hopper’s unhinged lawman from The Texas Chain Saw Massacre 2, and the film is given a shot of class by landing Lili Taylor in an extended cameo as fearsome matriarch Verna Sawyer. Elsewhere, the cast is a curiously British affair. Strike, Bloor, Coleman (Game of Thrones’ young Hodor) and Madsen all herald from the UK. As does Iron Fist’s Finn Jones, here Dorff’s reluctant deputy. Perhaps this is a wry nod to The Texas Chain Saw Massacre’s suppression in this country by the BBFC until 1999. More likely, it was cheaper to fly Brits to Bulgaria (efficiently doubling for a 1960s Texas) than an army of Americans. Shame Bustillo and Maury could not find space for Beatrice Dalle in the cast, making this their first outing not to feature the irascible French screen queen. A late twist will surprise no-one who has been paying attention, but Leatherface is another slickly made shocker from the deadly duo. You just wish their Saw had slightly sharper teeth. Leatherface is many things. British, he is NOT. So glad this film made zero dollars. Aww, did the producers and casting agents thought they were going to save some money by not hiring Americans? Aww. They wanted to present a BRITISH LEATHER? WT F?? A Leatherface who spoke with British accent in between takes. Leatherface is a Red Neck, and that’s it. A moonshine drinking, “chitlin eating”, possum hunting, bear trap setting, country road walking red neck, and that’s all folks. He “ain’t” British. I can’t get that out of my mind. Leatherface sipping tea and munching on crumpets? Leatherface eating fish n chips…It’s just stup!d ! also, for me personally, there was something about “Letherface” spoke in the film that made me Google the actor who played him in this. I didn’t know he was British but the way he spoke was inconsistent, his accent sounded unsure of what it wanted to be-it sounded slightly southern sometimes (but not native to the Texan area the character was from), just a generic Southern accent that you can’t pinpoint where it’s from because it doesn’t actually exist. I’m biased though and believe these roles should go to Americans because they are American character and the funding for the films is America. I noticed the OP here said Brits were cheaper to fly to Bulgaria as opposed to Americans. I always hear that Brits are cheaper and it’s confusing to me because well, Britain isn’t some third world country-their British pound is worth MORE than the American dollar. I don’t believe they’re cheaper, I just think a lot of Americans are hypocrites for complaining about Mexicans taking low paying jobs while giving away the jobs that will earn million to British actors and others (lead roles in latest Star Wars films, latest Spiderman films, latest Superman films, and so on). Sorry for so many typos in that comment. Cheers for the comment and thanks for reading. Interesting points you made. 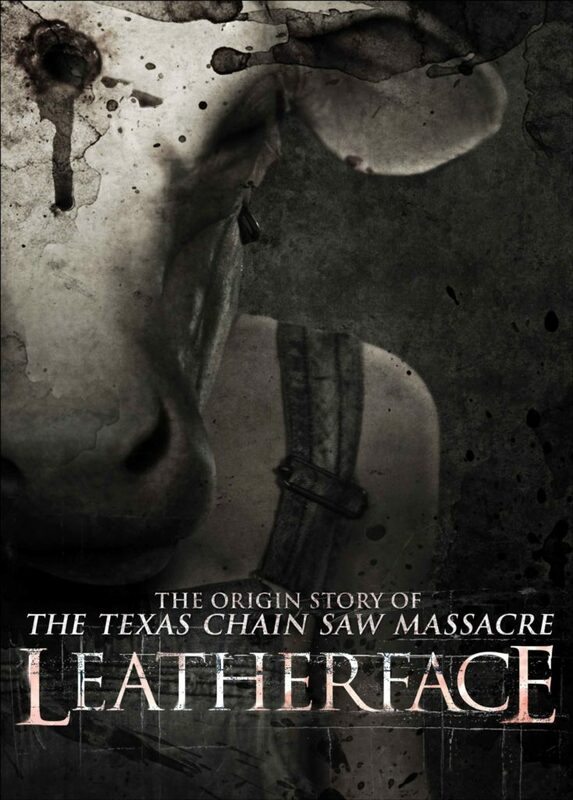 I’m not sure Leatherface had to be played by an American (but I would say that, as I’m a Brit!). But, can understand your point as he’s such an American horror icon – although Gunnar Hansen was Icelandic (but moved to America when he was five, so please forgive my snark!). And good point that the actor playing Leatherface here had a non-specific accent. I speculated that Brits would be cheaper to fly to Bulgaria because it’s a European flight, not transatlantic. That’s not confirmed, but I imagine cold hard economics played a part in casting this movie – they certainly influenced the shooting location. And seriously – thanks again for dropping the comment, appreciate you looking at the site and taking time to write. And – as you’re a horror buff like myself, Top 5 Horror Films of All Time? A tough question, I know! Thanks for the comment, Jason. Interesting point, I thought the uncut version of pt3 had its moments. Pt4 earns points just because it’s so nuts! I loved this film and the beginning is not the worst chainsaw that goes to part 3 or part 4.